Personality:As the local physician, Dr. Tofu is often seen as very knowledgeable and quite serious, especially when it comes to medical attention. However, this serious nature is counterbalanced by two distinct mannerisms. First, he has a habit of punctuating his medical discussions by playfully referencing his full-size skeleton model, which he refers to as Betty. Second, and much more serious, is what happens whenever Kasumi Tendo crosses his path. Unfortunately, whenever he sees the eldest daughter of Soun Tendo, his glasses fog over and he stops paying any attention to what he's doing - to the point that he can unknowingly become a danger to himself and the people around him. His patients have long learned to stay away from him when Kasumi is around, and the anime shows several humorous examples of what Dr. Tofu does when he is under the influence of love. On at least two different occasions, he has taken his skeleton and danced around town with it on his back after simply talking to her on the telephone. People who witness these antics often comment that "he's usually such a good doctor." History (4 lines): Dr. Tofu is a chiropractor who runs a moxibustion and acupuncture clinic in Furinkan. His office is located near the Tendo dojo and has known their family for a long time. In addition to his medical skills, he is very knowledgeable about martial arts techniques although he is never seen practicing. He is also one of the earliest to realize the potential of Ranma and Akane's relationship and skillfully nudges them in the right direction from the very beginning. For a time, he employed both Genma Saotome (in the panda form) and Shampoo as assistants. 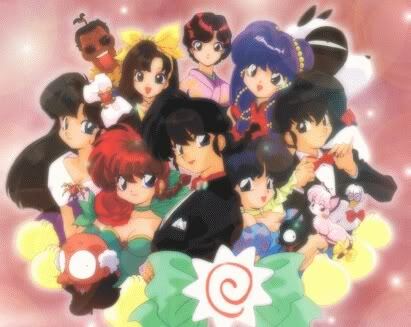 While Shampoo resigns her position as Tofu's nurse to become a waitress and delivery girl for the Nekohanten, owned by her great-grandmother, it is unknown whether or not Genma Saotome remains in his employment. Additional Information:Losing it whenever Kasumi crosses his path,Although Akane says that Tofu is a good martial artist, and Ranma admits that he is skilled enough to hide his presence, he never actually gets into a fight in the manga. Instead, he only uses his knowledge of pressure points to help Ranma and the others. In fact, he was able to strike Ranma in such a precise manner that a very exact amount of time later—he is actually shown counting down—both of Ranma's legs, without warning, temporarily gave out completely. In the anime, Tofu has a small battle against the frog hermit, where he uses his knowledge of pressure points to completely paralyze his foe and his frogs for a time. "Fiancee or Crush (Optional):Soun Tendo"? Sorry got the name mix up. Dr. Tofu is so funny!!!!!!!! Aw... Shampoo would have enjoyed Mousse... to kick around, that is!